The heirs often prefer to settle their property relations separately. For example, two heirs of a dwelling decide to get the whole home legally, with the other getting something in return. What is preferable - renunciation of an inheritance or donation to one successor for the benefit of the other? The cancellation of inheritance must be made mandatory before submitting a declaration under Art. 14 of the Law on Local Taxes. The legacy of the inheritance is the fastest and cheapest option and it does an ideal job if there are no other heirs. 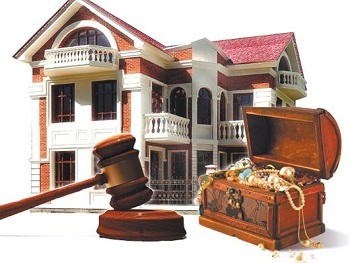 It is important to know that when acquiring inheritance properties, the declaration under Article 14 of the Local Taxes Act shall be filed within 6 months of the inheritance. The declaration submitted by one of the co-owners / users of a real estate uses all the others, with a separate declaration for each property. It must be borne in mind that, in the event of a denial of inheritance, the refused loses his or her successor's rights over the entire property (movable and immovable) of the deceased. Furthermore, the denial of inheritance is irreversible. Partial denial is inadmissible. That is, if there are other properties, money and belongings in the estate, the renounced is lost right on them, as well as on the eventually discovered later property of the deceased. The recommendation of the specialist is, if there are no other reasons, such as an overpowering creditor's credit, to make a donation. And one more thing - refusal is acceptable before the inheritance is accepted. This means that if the heir, for example, has already drawn amounts from the banker's bank account, then he can not give up the inheritance. The inheritance refusal does not work when two spouses have mortgaged their dwelling and one of them dies. Despite the denial of inheritance, the solidary debtor continues to be responsible for the loan, reveals lawyer Antoaneta Nenova. By denial of inheritance, the surviving spouse will lose ownership of the ideal parts of the property he has acquired after the death of the other. The expert advises people in such a situation to check what insurance risks cover the property insurance and whether it includes the risk of Death to the Debtor.